"Built to blend, this is not your typical greenhouse"
It's a better, faster way to grow food. 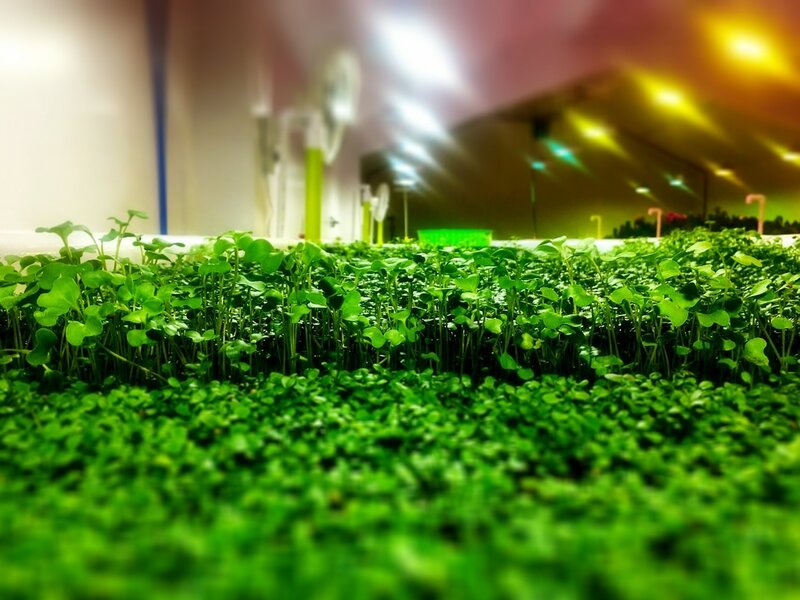 The GroEco Grohouse is a patented and proprietary unique combination of complementary technologies that have spawned an entirely new type of growing environment. Unlike open agriculture or indoor greenhouse farming, the GroEco Grohouse allows a protected, hermetically sealed, and highly productive growing environment that lets plants flourish in ways that traditional agriculture doesn't. The interior and exterior are anti fungal, anti-bacterial, and anti-viral - all of which protect the building and the plants in ways no other grow structure has before. What makes the GroHouse different than any other structure on the market today! For 10,000 years, our food economy has been restricted by not having access to things as fundamental as fertile land, abundant water, and a hospitable climate. Those that owned and controlled access to those resources controlled the growth and distribution of the most fundamental of our personal needs, access to healthy, inexpensive food. GroEco has turned that model on its head by developing a proprietary system to allow the abundant growth of food, in nearly any climate, year round, regardless of access to large plots of land, water, or even power. It’s the way food will be grown in the future, but it’s here today. Central to our mission is to restore power to the small, independent local farmer. Imagine a food economy that takes 1/10th the space, can be operated in desert or arctic climates, uses 94% less water than traditional agriculture, and can be completely off grid. The GroEco model allows anyone, anywhere to produce high quality organic food faster and for less cost. ​Core to the GroEco model is the absolute demand that we do no harm to the environment. We are part of the solution to a growing health crisis in the world that sees children dying every day from starvation, and nearly a billion children in the world suffer from chronic undernourishment. Our belief is that the solution to this problem isn’t in the genetic modification of our agriculture (which is showing serious health concerns as a side effect), but rather creating a whole new way to grow food locally and sustainably. The GroEco model is a Zero Climate environment. Our high standards require that our product produce no contaminations, no emissions, and no harm to the soil and water sources. Because the building can be put in smaller areas, more local to the people who will consume the food, we can reduce significantly the carbon footprint involved in the distribution of the food to the people who need it. Where most areas import 95% of the food they consume, having abundant access to a wide variety of locally grown organic produce means that there are less trucks on the road, less carbon emissions, less cost, and we can shorten the time the food takes to get from the farm to your table. Traditional agriculture is restricted and limited by multiple issues. Climate, access to fertile land, ownership and access to water rights, potential natural disasters or weather events, and the growing desire to provide organically certified products with all the red tape and government oversight that brings. Even newer forms of agriculture (greenhouse growers, aquaponics, hydroponics, etc...) are dependent on the high costs of utilities, power, cooling, chemicals, and the frustration of trying to achieve the exact ph balance for individual types of crops in a complicated indoor environment. Moreover, the costs of maintaining a greenhouse structure can make it impossible to produce a high quality product at a reasonable cost. GroEco’s model is not reliant on climate, soil conditions, water rights, or even power. Our proprietary grow house can be completely off grid, yet yield crops 365 days a year in a structure that is largely maintenance free, doesn’t need heating or cooling (in most climates), and can grow bananas and pineapples in harsh winter climates, or berries and green vegetables in the hottest parts of the world.